The FC-017 is based on the Williams JPH1B FIA Formula Two car, which featured a sophisticated carbon composite chassis and a 1.8-litre turbocharged Audi engine that produced 425bhp. 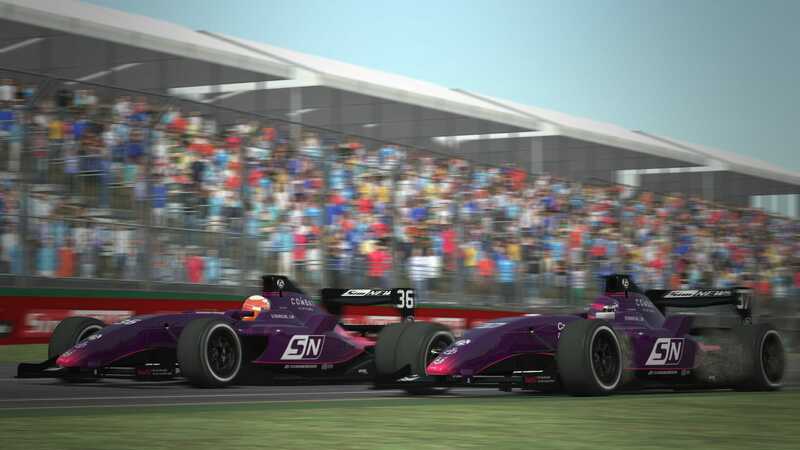 However, the GPVWC announced some major changes to the technical regulations for the 2017 Formula Challenge season. For example, the series switched from turbocharged 4-cylinder engines to naturally aspirated V6 engines. Setup options were also simplified, placing a greater emphasis on driver skill. Furthermore, the wet tyre compounds received an adjustment to grip levels and the low downforce package was removed, leaving a single wing package available for use. “After a succesful first year as a simracing team, our motto for this year is to “March Forth”. That’s why we thought it would be very fitting to unveil our first car in a GPVWC Career Ladder Series today, on March 4th.